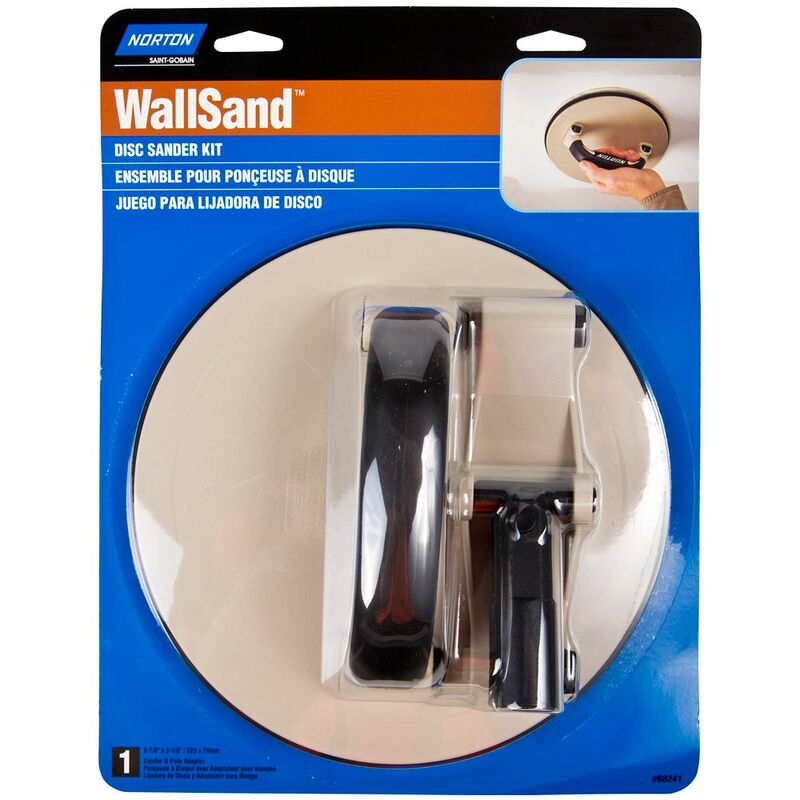 The lightweight, circular design virtually eliminates flipping and allows change of direction without lifting off the wall. NORTON products are sold with warranties implied by law. For any inquiries call 1-800-263-6565. Heavy-duty universal joint. High density rubber pad. Nickel plated steel mounting clips. Polypropylene structural foam plastic body. Perfect for sanding drywall with an extension pole. Mason's line is great for staking out sites for concrete and landscape layouts, and also ideal for brick and block laying. This premium quality mason's line has been heat set after winding to stabilize and maintain its shape. Ideal for outdoor use as it will not be affected by mortar, oil, or mildew, and will not absorb water. 9 Inch Wallsand Disc Sander W/Pole Handle Adapter is rated 2.0 out of 5 by 1. Rated 2 out of 5 by Paint guy from Meh Straight out of the package the hook and loop backing came off, Guess the glue was not up for the challenge that day. Used some liquid nails to attach it back on, works ok for a cheaper 360 sander.